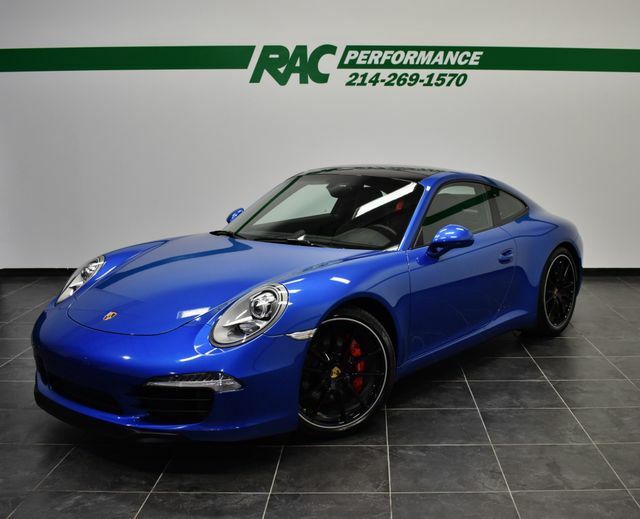 CLEAN CARFAX, 7-SPEED MANUAL TRANSMISSION, SPORT CHRONO PACKAGE, SPORT EXHAUST SYSTEM, SPORT SEATS PLUS (4-WAY), PASM SPORT SUSPENSION, PORSCHE CPO WARRANTY (THROUGH 4/26/2020), AL PRIORITY INTEGRATED RADAR/LASER SYSTEM, BOOKS + 2 KEYS, ORIGINAL MONRONEY STICKER, SPORTDESIGN STEERING WHEEL, 20″ CARRERA S WHEELS, WHEELS PAINTED IN BLACK, SEAT BELTS IN GUARDS RED, SPORTDESIGN SIDE MIRRORS, BOSE AUDIO PACKAGE, SEAT HEATING (FRONT), AUTOMATICALLY DIMMING MIRRORS, WHEEL CENTER CAPS WITH COLORED PORSCHE CREST, FIRE EXTINGUISHER, LUGGAGE NET IN PASSENGER FOOTWELL, ELECTRIC SLIDE/TILT SUNROOF IN GLASS, SAPPHIRE BLUE METALLIC!!! This car has been inspected by our certified technicians and is ready to drive home. Upgrades are available at RAC Performance. TUNES, EXHAUST, WHEELS, TIRES and MORE!